Huawei has launched another soldier in its battalion, but they have kept it low this time. No event or big launch but a silent slipping into its website. The soldier is Huawei Mate 9 Lite, which is a mid-range phone which is as benign as possible. So let us discuss the specs and features of Huawei Mate 9 Lite. The phone has a 5.5-inch screen size with a full-HD resolution of 1080 x 1920 pixels. The display has a 2.5D curved glass on top. The silhouette is beautiful and makes it worth holding. 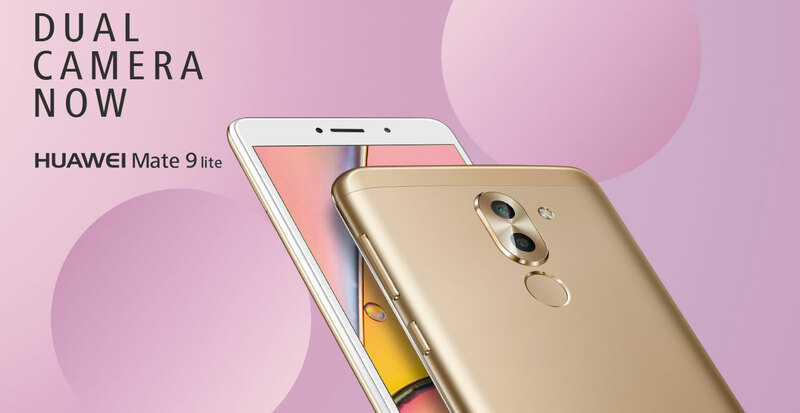 In the camera arena, Mate 9 Lite comes with a dual camera setup with 12-megapixel and 2-megapixel rear cameras minus the Leica branding. The phone isn’t as refined as the other Mate smartphones. The front has an 8-megapixel sensor. The primary camera features a 0.3 second PDAF focus, while the secondary camera captures depth for bokeh shots. 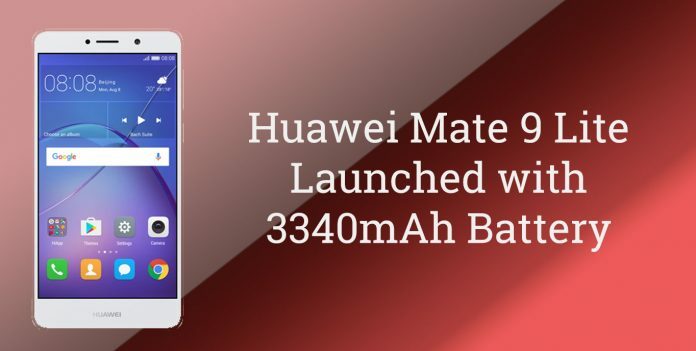 Huawei Mate 9 Lite is powered by Kirin 655 SoC octa-core processor clocked at 2.1GHz and a 3340mAh battery. In performance, it is behind its fellow Huawei soldiers. The phone runs on EMUI 4.1 which is based on Android 6.0 Marshmallow. For connectivity, it has GPS, Wi-Fi and Bluetooth. It comes in two memory variants, one with 3GB RAM and 32GB storage, while other with 4GB RAM and 64GB internal storage. In addition, it has support for microSD card up to 128GB. The smartphone will be available in Gold, Grey, and Silver colour. Huawei Mate 9 Lite is no extraordinary phone which has aims to break the bars. It is a regular phone just trying to create a bit of difference. It is a dual SIM smartphone with 3G and 4G enabled. It also features fingerprint sensors for better security. Mate 9 Lite is mere 8.2mm thin and weighs around 162 grammes. Anyone looking for Huawei legacy with normal features may approach this one. The beauty of this one is its simplicity.